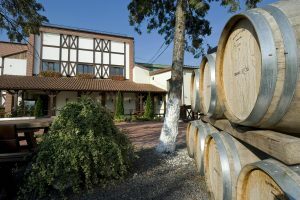 Fifteen years since first visiting Romanian winery Cramele Recas, Justin Keay, returns to find a business that has been transformed from one showing “great potential” into the biggest seller of premium wine in Romania. With Central Europe enjoying a bumper harvest in 2017, where the rest of Europe had one of the worst, business doubled for Cramele Recas and this coming year could be one in which founder Philip Cox and his team further cements this success. Cox is proud of the status Cramele Recas has as a Romanian winery, and is keen to promote consumption of local varieties, including Feteasca Regala, Tamaioasa Romaneasca, Negru de Dragasani and Kadarka. What is surprising is who is buying indigenous varieties in the UK. Fast forward to 2018, the 20th anniversary of when Bristol-born Cox and his Romanian wife Elvira founded Cramele Recas, and it would seem I was right on the money. “When we started out, I really thought we would be a boutique winery,” he says, recalling that he was inspired to go into wine after meeting Robert Mondavi at the tender age of 17. 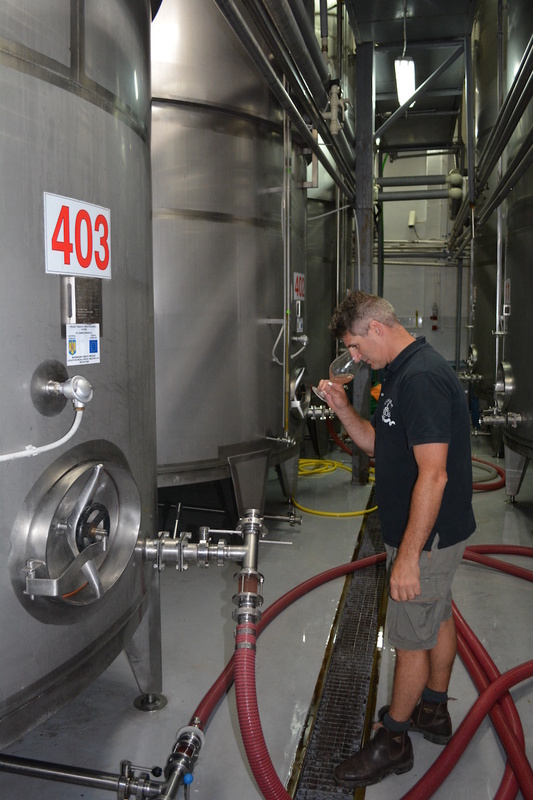 Standing in front of a glass-fronted cupboard showcasing just some of his wines, looking out at the vast stainless steel tanks that cover much of his winery, that dream has long been realised. Cox’s winery is now the third largest in Romania. 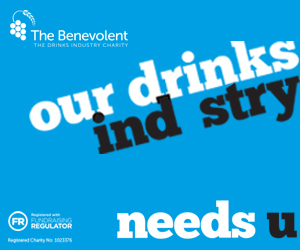 Last year it produced 24 million bottles, had a turnover of €42.5 million and employed 250 people. Cramele Recas makes 65 different wines under 247 different labels, reflecting Cox’s success in cannily penetrating both the on and off-trade (“If you give some customers the same wine with a label you have sold to others, they just don’t want it”). And things continue to go his way. Two years ago, the country’s largest producer – Murfatlar, a company that had its origins in the communist era – went into insolvency following a huge alleged tax fraud whilst another competitor, Halewood is being sold by its British parent. “Today we’re the biggest seller of premium wine in Romania, thanks to growing interest from abroad and because Romania hasn’t had the bad harvests other countries suffered in recent years,” he says. Cox says that there has been growing interest in Romanian wine since the 2008 financial crisis hit many wine drinkers where it hurts most. 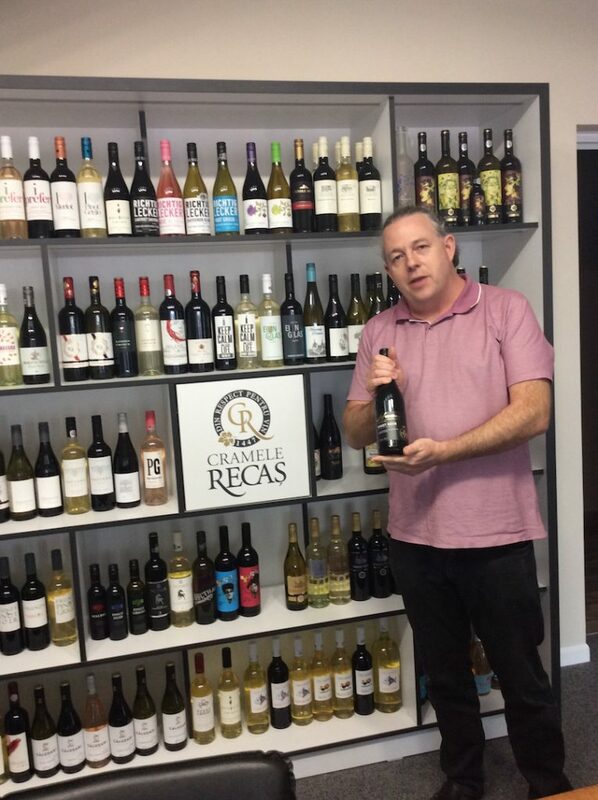 Cheap prices – Cramele Recas has become famous for providing British drinkers with Pinot Noir and Pinot Gris at bargain prices, often below £6 at Asda, Aldi and Majestic – combined with poor harvests elsewhere have cemented the success. 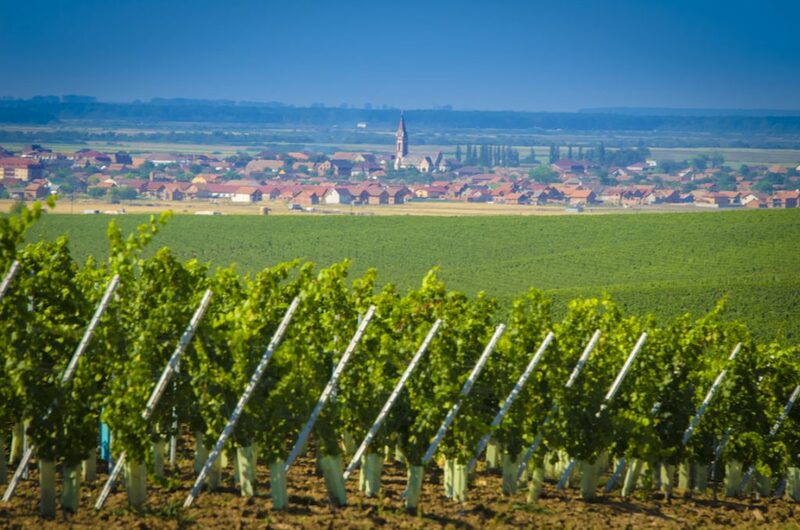 Today Cramele Recas has some 40% of the Romanian wine industry’s export market whilst its domestic market position has been bolstered via the 150 wine shops it owns around the country, which naturally only stock its products. “Last year was just mad. We had a great vintage, unlike most other countries, and business doubled – that was after it had gone up 40% the year before. 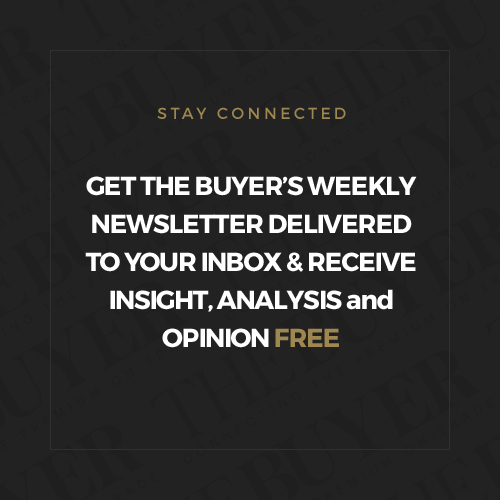 We’re struggling to keep up with demand,” he says. 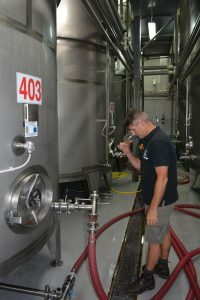 Cox is clearly sensitive to the charge that he produces mainly commercial wines – aimed at western supermarkets and facilitated by the presence at Cramele Recas oenologist Hartley Smithers, better known for his work at Casella with Yellowtail – pointing out that just under one million bottles he produces are “premium” wines. “We pulled up the vines we inherited when we took over but some of the best vines we have are just in front of the winery, on Gypsy Hill, where we make some of our best wines,” he says. Cox is proud of Cramele Recas’ status as a Romanian winery, and is keen to promote consumption of local varieties, including Feteasca Regala, Tamaioasa Romaneasca and Negru de Dragasani. He also makes a sparkling wine with Kadarka – a black-skinned variety also common in Hungary and Bulgaria (where it is known as Gamza) but which is often perceived as “difficult”. 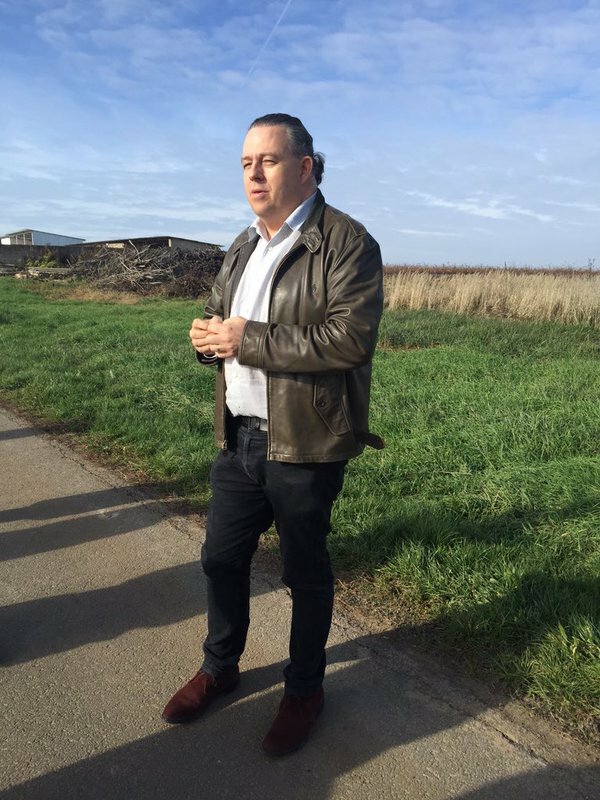 “Look at Majestic: they take our Pinot Noir and Pinot Grigio but it’s that Asda buys lots of our Feteasca Regala and Feteasca Alba, as does Aldi. You would have thought it would be the other way around,” he shrugs. An informal tasting of 14 wines from Cramele Recas reveals decent entry level wines including Asda’s Wine Atlas Feteasca Regala (£5.49), the Brindle Ridge Chardonnay and the more-than-serviceable-for-the-price Wildflower Pinot Noir, the last two of which Spar UK sells for £6.50. The fruit-forward Paparuda Merlot 2017, available through Tanners, is a nice easy drinking quaffer, again good value at £6.99, but for a pound more you could treat yourself to the Nonius, a nice, spicy blend of Feteasca Neagra and Syrah (Inverarity Morton). Higher up the price range, the wines get more ambitious. The white Wildflower Cuvée Blanc Reserva 2017 is a big, moreish blend of Chardonnay, Feteasca Regala, Sauvignon Blanc and Muscat Ottonel and well worth trying (£9.95 Tanners), the Selene Feteasca Neagra 2017 is an unfiltered, barrique-aged wine made in small quantities (20,000 bottles) and a decent expression of this grape (Tanners, £14.50). More ambitious still is the Cuveée Uberland, made Amarone-style in vineyards just near the winery, with Cabernet Sauvignon and Merlot. Another surprise is his first orange wine, Sole Orange, made with Chardonnay and Sauvignon Blanc with three weeks skin contact. For Cox, the aim is to get Brits, in particular, to trade up although the stupidity of Brexit – which has already made consumers poorer through the devaluation of sterling – doesn’t make him optimistic that they will. 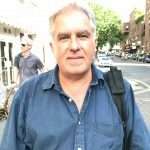 “My initial reaction was to turn away and focus on Germany and Netherlands – I just couldn’t believe my country would do something so stupid and self-defeating. However, probably because our wines are not priced in Euros, British consumers have actually been buying more of our wine, just not the more expensive stuff,” he says. “Romania has the best value Pinot Noir in the world – probably because of our climate and terroir – and word has gotten out,” he says, pointing to the likes of Waitrose and Corney & Barrow who were initially sniffy at the idea of Romanian Pinot but now can’t buy enough of it. Going forward, his plan is to encourage customers to look at local varieties more, despite the current focus on Pinot Noir and Grigio. 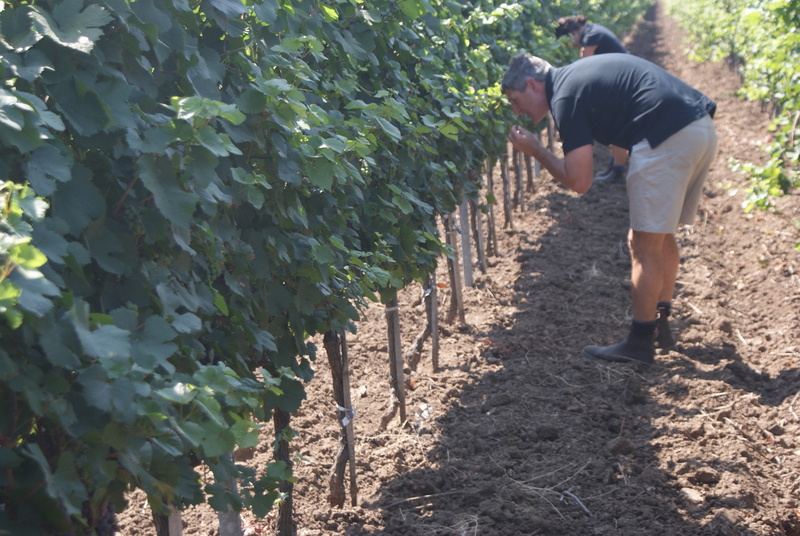 “Negru de Dragasani – developed in the central Dragasani region in 1993 by crossing Negru Vertos with Saperavi – has potential but I reckon Feteasca Neagra has most promise. Yes, it can be fickle in bad years because it goes rotten fast and it can be inconsistent, but when all goes well it can produce some lovely wine,” he says. 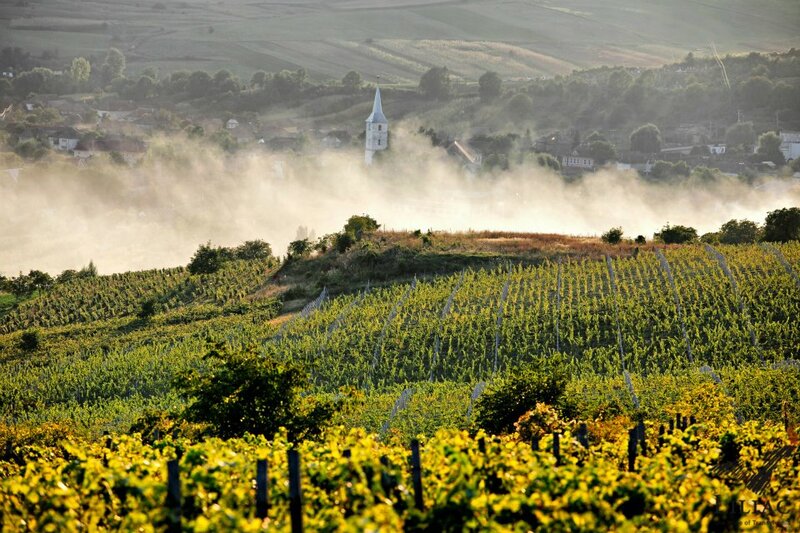 After a tough start in the 1990s, when land restitution and economic crisis inhibited its growth, the Romanian wine industry is currently in a good place. 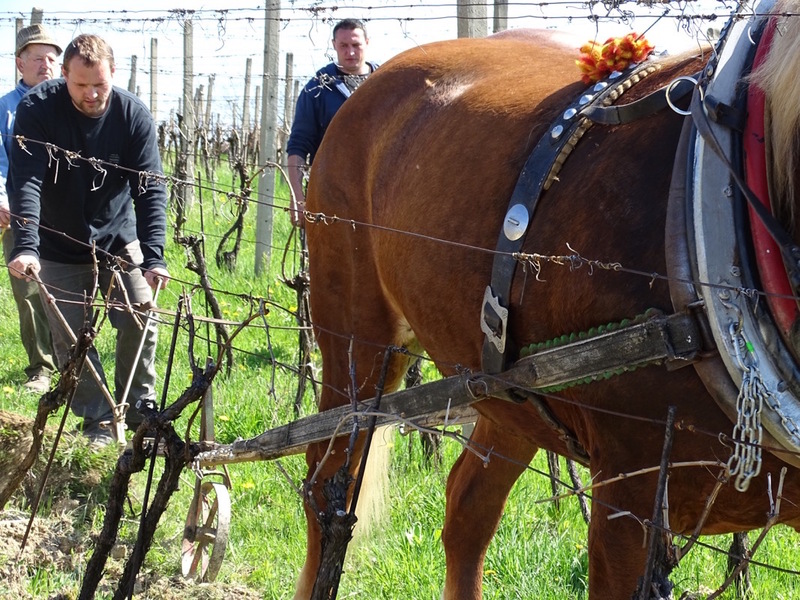 Some 170 new wineries have opened in the last 10 years and an estimated 35,000 hectares of new vines have been planted. Throughout this time, Cramele Recas has become one of the front-runners in the industry and has helped raise the profile of the industry generally, and Romania itself. 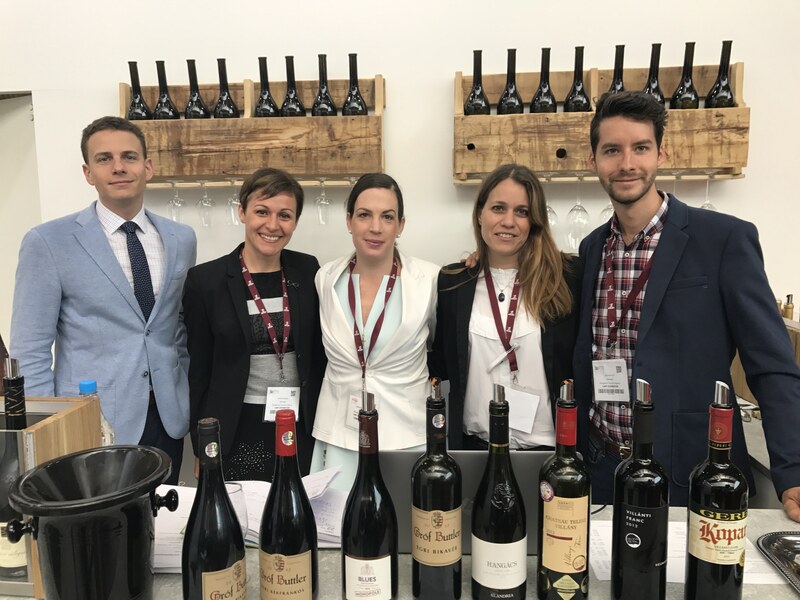 However the industry still seems to have a problem pulling together, as demonstrated at the London Wine Fair where there was a Wines of Romania stand and a Premium Wines of Romania stand, at opposite ends of the hall, seemingly reluctant to acknowledge the existence of the other. And one of the country’s best producers, Prince Stirbey had its own seperate stand upstairs. (Cramele Recas wasn’t present at all). Cox says things take time. 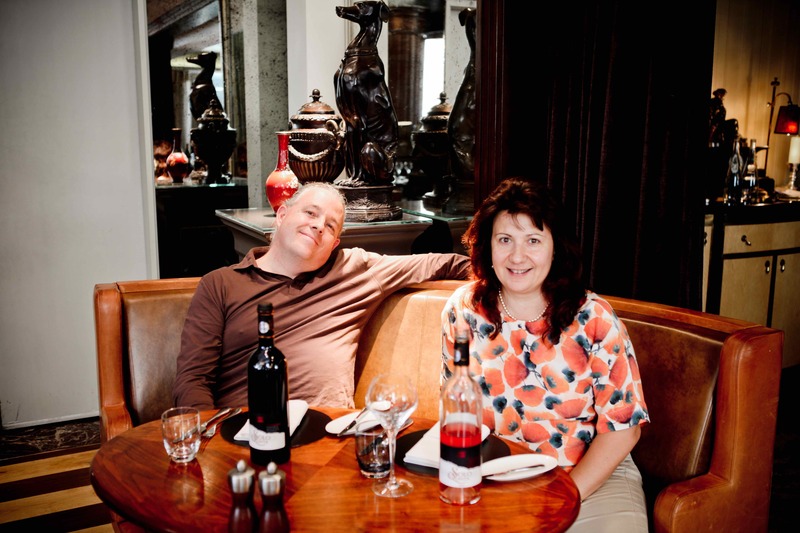 “When we started out, Romania had a terrible image and this impacted on lots of things, the wine industry included. That has changed but we all have to continue trying to raise the bar and show that we really can be world class,” he says.